Converting rolls into sheets has never been easier. Pallet covers, interleaving, product overwrap—whether your rolls are lightweight paper or .050” board, we’ve got your converting jobs covered up to 80” in OD and up to 63” in sheet width. High quality paper from American mills, plus a turn around time of half the industry average, what’s not to love? Printing services are available for that personal touch. Sheeting capabilities you can count on. Getting a quote for your custom sheeting services job is easy. Talk to a team member at (888) 355-0222 or send us a message and someone will be in touch with you. Control shipping costs with rail siding. Rail siding means our facility accommodates shipping and receiving via an onsite railroad stop. 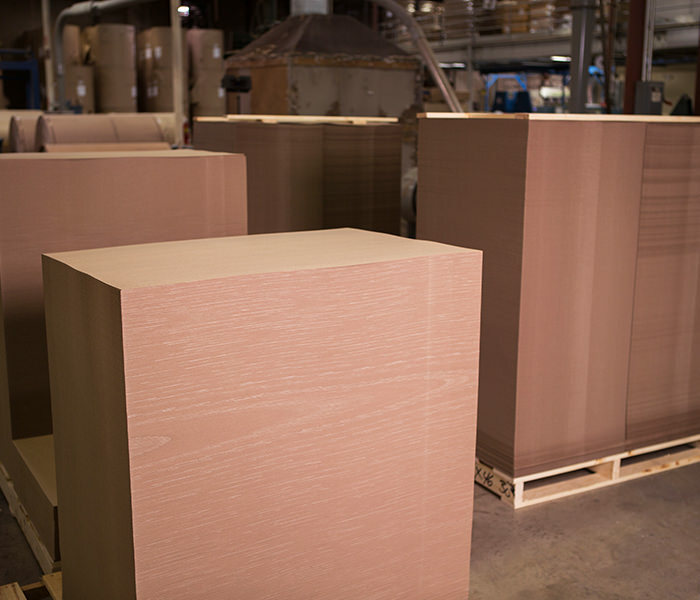 When it comes to large quantity orders shipped at reasonable costs, consider yourself covered.